South Ridge Elementary School students and staff celebrated the dedication of public artwork in a presentation on November 2, organized by the school. The artwork, entitled “Confluences” is a gateway feature created by Stuart Nakamura, a Washington artist who has designed work for a number of school districts in the state, including Federal Way Public Schools, Northshore School District, Richland School District, Seattle Public Schools and Bethel School District. A committee made up of Ridgefield community members, teachers and school district administrators selected Nakamura from a roster of artists maintained by the Washington State Arts Commission. The arts commission provided the funding for the art project from the “percent-for-art” funds from the state’s Art in Public Places program (AIPP). 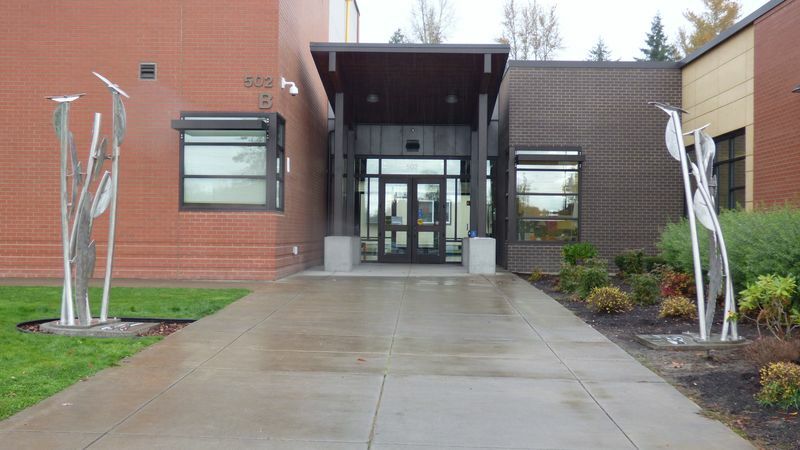 When recent new school construction at the district’s two elementary schools (South Ridge Elementary and Union Ridge Elementary) was completed, both schools qualified to receive the state funds to have public artwork installed at each school site. Alan Adams, art teacher at Union Ridge Elementary, is credited with applying for the public artwork funding at both schools. 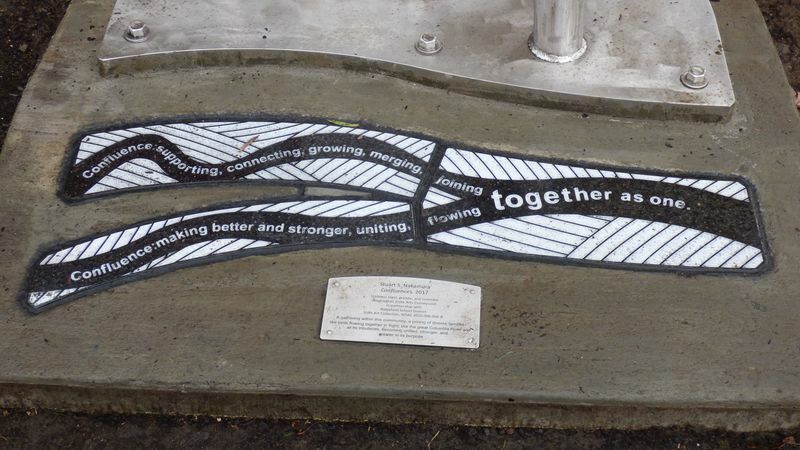 Students supplied the words that are etched into the granite at the base of each sculpture. The sculptures are placed directly across each other on both sides of the main entrance to South Ridge Elementary’s newest building in an east/west orientation, in contrast with the north/south direction of the entry way.